Why pay more for anything in life? It doesn’t really make any sense. From shoes to cars and, yes, even property, it is important to do your homework. This is the only way to avoid overpriced homes. Of course, it is your prerogative if you want to handover more cash than might actually be necessary. There are many great properties available for competitive prices, but some homes don’t offer true value for money. Sure, they look the part, but there may be other similar properties available for less. If you want to avoid overpriced homes, consider these four things. What’s the asking price of other units in the development? The great thing about using property portals, such as Dot Property, is that you can see what the asking price is for all units for sale in any given development. 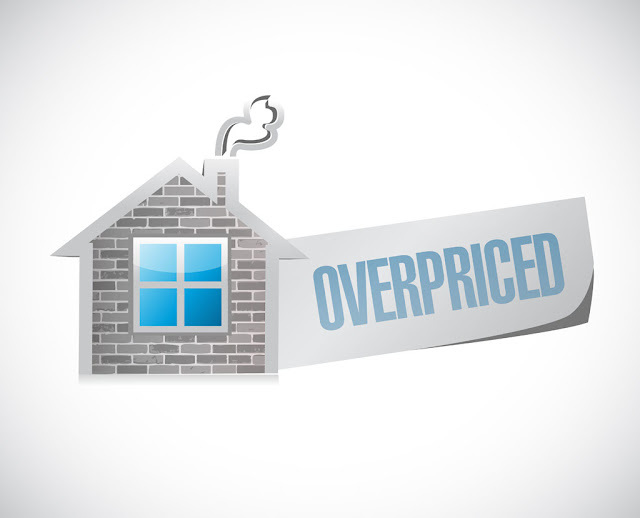 The easiest way to avoid overpriced homes is to look at the prices of similar units in the building. If they are roughly the same, you’re probably getting a good deal. If the price seems to be high, you have a list of cheaper homes in the same development at your fingertips. Some properties that seem overpriced actually have extra value built-in. The biggest value-added element to any home is furniture. If a home is fully furnished, the asking price will reflect this. And while on the surface the unit might seem overpriced, in reality it is not. However, this value won’t match the cost if you want to redecorate or already have furniture. As you probably already know, location is everything when it comes to property prices. If you are buying a home based on location, then you should investigate what the asking price is for other properties in the surrounding area. New build projects always look nicer, but in some areas the price for a unit in these can surpass ones in already completed developments. Explore the entire neighbourhood and see if the home you are considering really offers value for money. At the end of the day, you should visit the unit and see if it is worth the price. This may not be the most scientific method available, but you are the one spending money on it. There is only thing that really matters; does the home seem overpriced to you?